This western themed design is perfect for a cowboy or cowgirl. 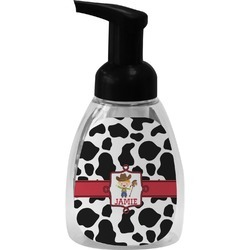 The background is cow print, with a red ribbon in the center. 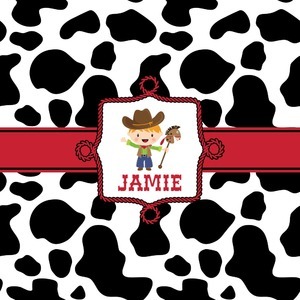 The label is made of rope and you can customize it by choosing a cowgirl or a cowboy.